Two of the main things that stand between a person and a healthy diet is money and time. 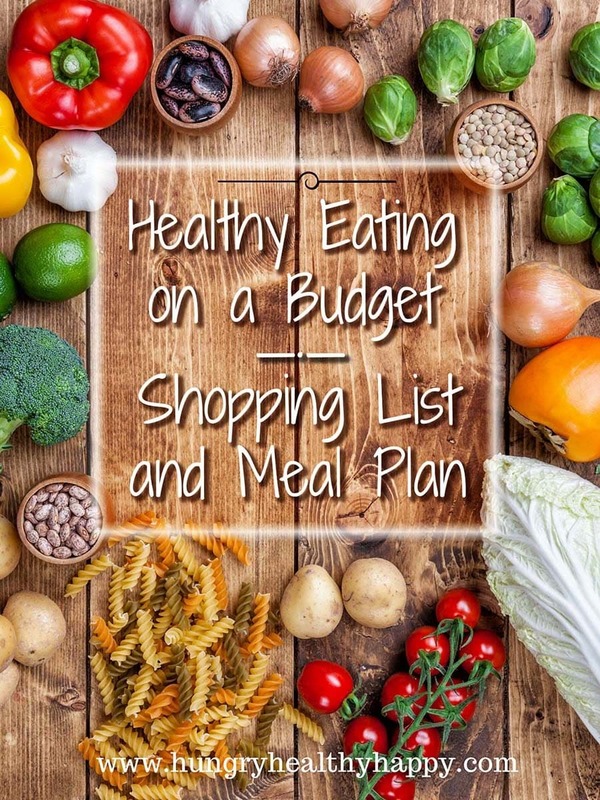 We try to provide you with recipes that are quick and easy to help you with the time issue, and now we are going to help you with the budget side with this healthy eating on a budget, shopping list and meal plan. When money is tight, it is often healthy food that takes a back seat as bills still need to be paid. I hear so often from people that they can’t afford to have a healthy diet because it is so expensive. Whilst that can be true, it doesn’t have to be. There is no doubt that a lot of junk is pretty cheap (frozen chicken nuggets, potato waffles, cookies and stuff like that) but healthy eating doesn’t have to be anywhere near as expensive as people think it is. With a few smart swaps and meal planning, healthy eating can be for everyone. 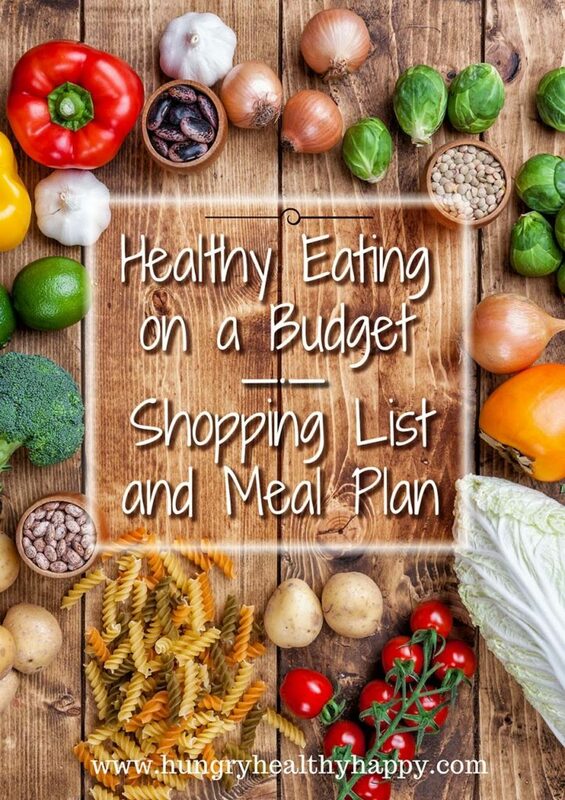 If you are just starting out on trying to save money on your food shopping then take a look at ours Tips For Healthy Eating on a Budget ,which has loads of general money saving tips to get you started. Not all of the meals in the meal plan below are going to suit everyone in terms of taste, dietary requirements and calorific needs, so please adapt it to suit your own needs. 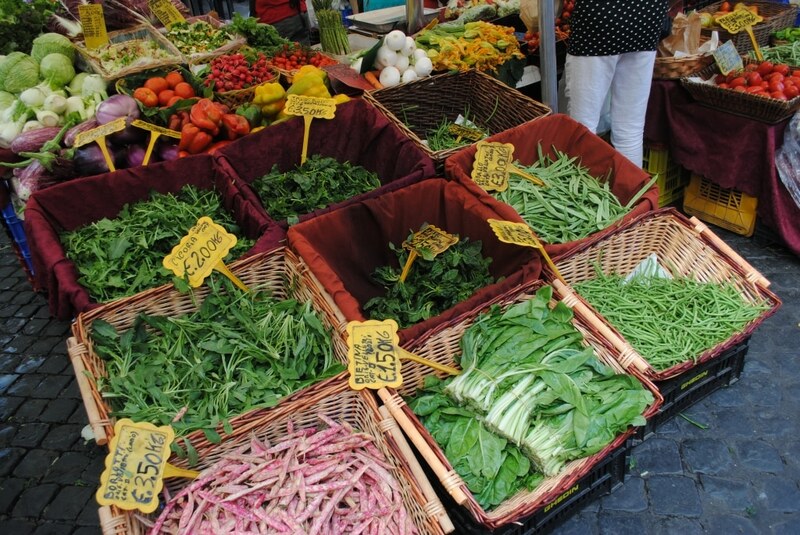 This is just a guide to get you started and save you some money on your healthy food shop. Do you want to be kept up to date on posts like Healthy Eating On A Budget – Shopping List and Meal Plan? Please subscribe to the blog mailing list (it takes 30 seconds). You will get sent the new recipes straight to your inbox. Your email address won’t be passed on to anyone and you will never be spammed. Below we have provided you with a weeks worth of healthy meals and snacks, along with a shopping list of everything you need to buy to make the meals for the week. Although the word budget is relative, all these meals and snacks are cheap to make so they should save you some money on your healthy shopping bill. We could have had a healthy diet for the week on less money than we spent, but it would have relied on us eating mostly the same things throughout the week and repetition is what causes us to go off track and order a pizza usually. If you are on a stricter budget, cut out meat completely and eat more bean based meals and have more pasta dishes – that will bring the cost down. So, let’s speak about the budget. The average family spends £53 a week on food and drink shopping (this doesn’t include things like toiletries and pet food etc), so we have tried to keep our budget shop under £45 so it is less than the national average and saving you some money. This is £45 for 2 adults and one child. I have not included things like spices, herbs, tea, coffee and oil and vinegar, as this is presuming that you already have those things, because they don’t need to be bought very often. Some of our shopping costs less some weeks, and some times more, so it balances itself out. These meals also provide some leftovers, so you will have extra meals to freeze for the next week. Healthy eating is a good habit for our life. I and my family try to maintain healthy food. I am trying to continue the daily meal plan. It’s useful to all family. Thanks for the valuable post. Eating healthy is really important to maintain a good body shape. I too want to lose weight and will try this. Today women’S especially conscious about her health, then they should add this special food item, Especially red and blue fruits are rich in cell protection substances and bring power to the immune system. Fresh from the field in summer, dried or frozen in autumn and winter. Great article! We follow it! I find crumpets are a great source of carbohydrate for any meal. I top them when toasted lightly with a huge variety of goodies. Coleslaw, prawns, gherkins, cheese, marmite, ham, sandwich spreads the list is endless! All you add will soak into the tiny pockets they have and 2 well packed crumpets makes a great meal. What an awesome list you’ve put together for us! In our economy, the budgets seem to get tighter by the day. We all know the “dollar menu” fast foods are anything but healthy. I’ve printed out your list and menu planner, easy to adjust, and watch for sales in the grocery stores! Great stuff, thanks for sharing!!! Mealplanning is so important. Some great insight here. I make a very tasty dish……..Macaroni, onion and bacon. It’s lovely with a dollop of ketchup! Does the cat food pair nicely with the salmon salad? I like the sound of this but i have to take into account my lactose intolerance nad with my autism i cant have gluten. would be able to make up a plan for that? it would be of great help to me. I find it so difficult. Thanks for your comment. However, I can’t make tailored plans unfortunately. This is easily adaptable to use lactose and gluten free products though. I totally agree that it doesn’t cost the earth to eat healthily. 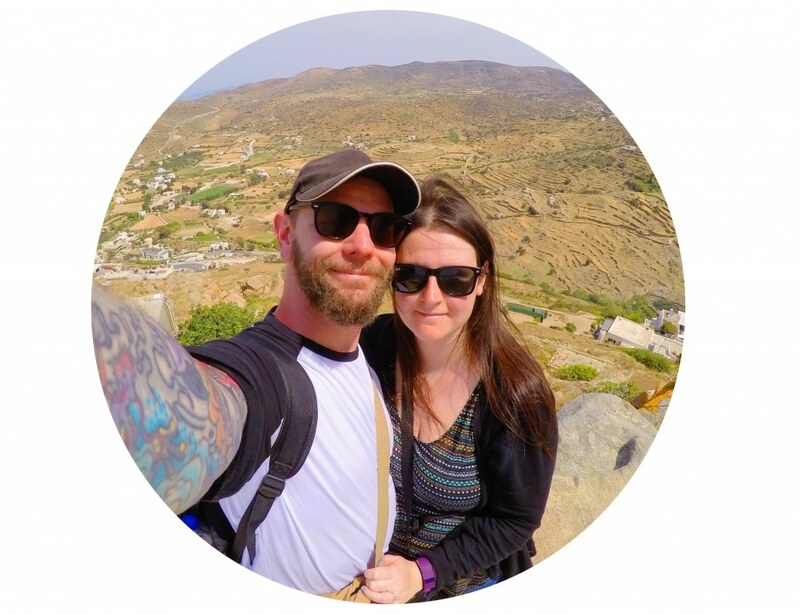 My partner and I spend around £25-35 a week on food, and I don’t feel like we sacrifice things. Meal planning is key and this is a really helpful post, thanks Dannii. That’s really good budgeting! Just shows that is can be done!